Both teens and adults love my YA Valiant Hearts Series. 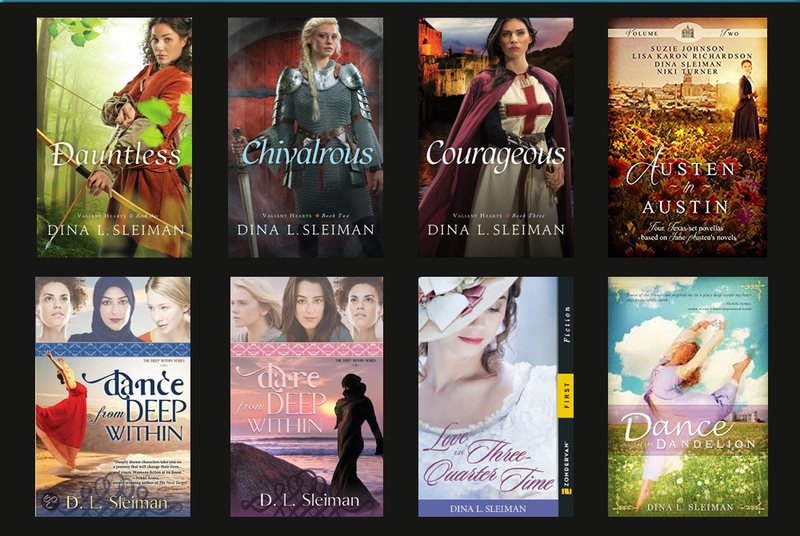 In addition, adults, please continue to scroll down the page for my novels geared especially towards you. Born a baron's daughter, Lady Merry Ellison is now an enemy of the throne after her father's failed assassination attempt upon the king. 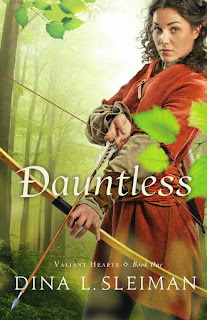 Bold and uniquely skilled, she is willing to go to any lengths to protect the orphaned children of her former village--a group that becomes known as "The Ghosts of Farthingale Forest." Merry finds her charge more difficult as their growing notoriety brings increasing trouble their way. Timothy Grey, ninth child of the Baron of Greyham, longs to perform some feat so legendary that he will rise from obscurity and earn a title of his own. When the Ghosts of Farthingale Forest are spotted in Wyndeshire, where he serves as assistant to the local earl, he might have found his chance. But when he comes face-to-face with the leader of the thieves, he's forced to reexamine everything he's known. When handsome, good-hearted Allen of Ellsworth arrives in Edendale searching for his place in the world, Gwendolyn spies in him the sort of fellow she could imagine marrying. Yet fate seems determined to keep them apart. 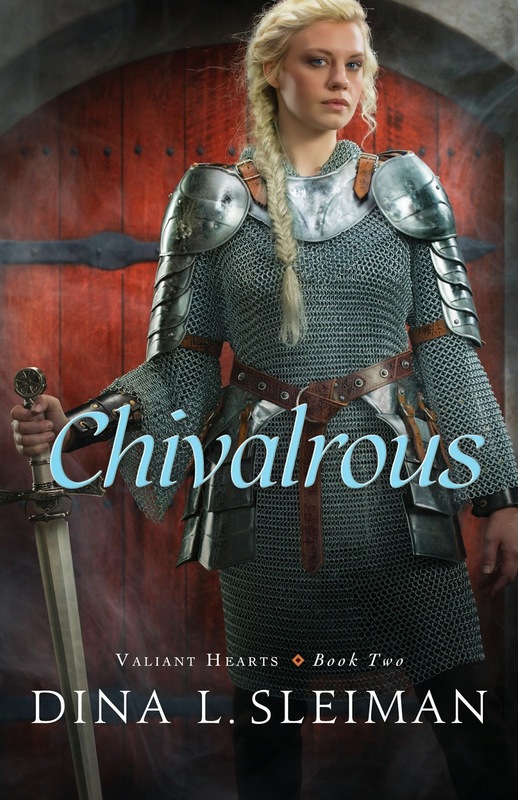 Tournaments, intrigue, and battles--along with twists and turns aplenty--await these two as they struggle to find love, identity, and their true destinies. And look for Courageous, Valiant Hearts Book 3. 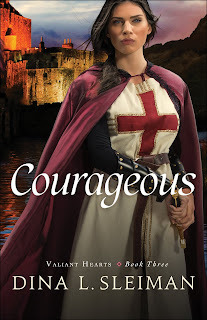 Inspired by the vision of the Young Lady Sapphira, Rosalind of Ipsworth joins a group of men, women, and children as a defender of the cross, seeking to free captives from prisons near Tripoli. She gladly gives herself to the cause, as she's haunted by a tragic mistake and no longer deserves such joys as marriage and family might bring. Sir Randel Penigree was reared to serve in the church, but dreams of protecting the innocent as a knight. Joining a crusade to escape humiliation at home, he finds himself drawn to Rosalind as they partner to train and protect a group of young adolescents. When they face political machinations, danger, and an unknown enemy bent on their destruction, they are forced to reconsider their priorities and the very nature of the God they serve. 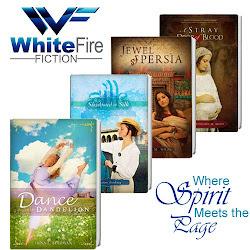 Three unlikely friends learning to dance to the song of the spirit. 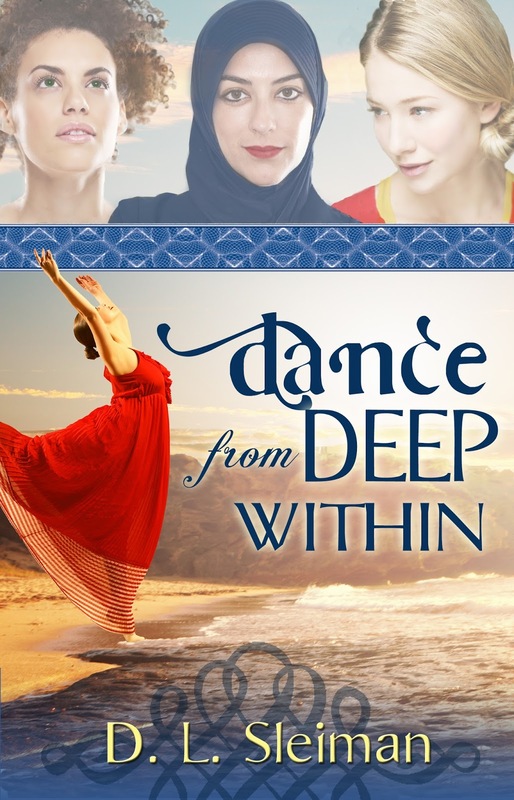 Despite her conservative Muslim heritage, Layla Al-Rai longs for a chance to earn her degree in engineering and perhaps even…dare she dream…to choose her own husband. But young women from her background rarely enjoy such freedoms. When she finally talks her parents into letting her attend college, she is drawn to fellow twenty-something students, Allie and Rain, over a class project. Allie, the blonde ballerina, faces her own struggles as she deals with an ex-fiancé and a church she had hoped to leave behind. Rain, the bi-racial hippie chick, longs for something to believe in, but her questioning could cost her the love of her life. When Layla’s childhood sweetheart reenters her world, it seems her dreams might become real. Until everything falls apart. When she meets truth face to face, will she find the courage to accept it—even if it requires the ultimate sacrifice? Three young women from varying backgrounds risk everything to help a friend escape her abusive family. Still at odds with her own Muslim parents, Layla faces unexpected challenges when her childhood companion shows up on her doorstep. As Fatima risks everything for freedom, her desperate circumstances draw a new circle of friends who will be forever changed by her plight. Layla, the Muslim-background believer, turns to a forbidden boyfriend for the guidance both to protect Fatima and to find her identity apart from her parents and her former culture. Rain, the bi-racial hippie chick, secrets Fatima away from her violent family, but as the experience draws her closer to Christ, Rain's own relationship with her significant other, James, will suffer the consequences. 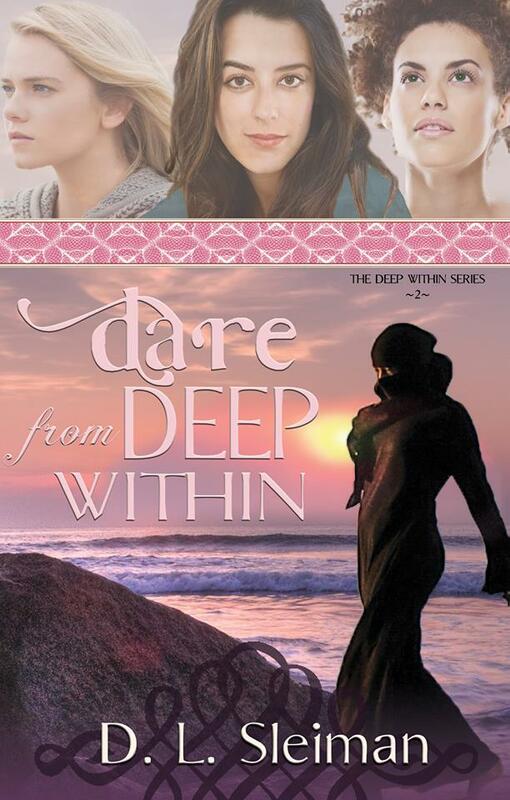 Sarah, an ultra-conservative Christian on the surface, is torn between a desire to help Fatima and a need to conceal her shameful double life and dangerous habits from her older sister Allie. As they struggle to safely guide this courageous young woman through a maze of intrigue and terrorism, all will be forced to ask what they are willing to risk for love, for each other and for God. When the belle of the ball falls into genteel poverty, Constance Cavendish must teach the dances she once loved to help her family survive. The opportunity of a lifetime might await her in the frontier town of Charlottesville, but the position will require her to instruct the sisters of the plantation owner who jilted her when she needed him most. Can Constance possibly face Robert Montgomery, her painful past, and the guilt that threatens to destroy her in time to waltz her way to a fresh start? For discussion questions and other fun extras, click here. Check out my LITQT board on pinterest. Love's quest leads her the world over. Dandelion Dering was born a peasant in the English village of Arun, but her soul yearned for another life, another world. One filled with color and music, with adventure and passion . . . with more. Haunted by childhood memories, Dandelion determines to find a better existence than the life every peasant in the village contents themselves with. Even if her sweetheart William’s predictions prove true, and her journey leads straight to heartache. From her sleepy hamlet to the intrigue of castle life, from the heart of London to the adventurous seas, Dandelion flees from the mistakes of her past, always seeking that something, that someone who will satisfy her longings. 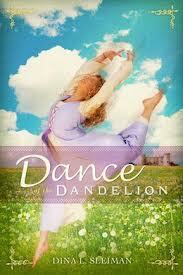 Will Dandelion ever find the rhythm to her life's dance . . . or did she leave her chance for true love at home in Arun village? Or click here to purchase the ebook in a variety of formats. 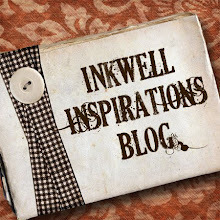 Check out my Dance of the Dandelion board on pinterest. These fun novellas place Jane Austen heroines in Austin, Texas. 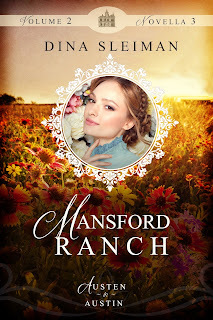 Mansford Ranch is based on Mansfield Park: An aspiring novelist with a keen eye for character must determine who is worthy of playing her own leading man. 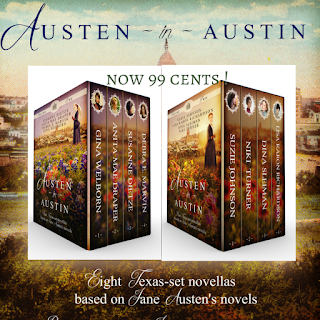 Purchase the boxed sets of volume 1 and volume 2 for only $.99 each!